Heroes, Heroines, and History: OPULENT CASTLES AND HUMBLE HOMES - GIVEAWAY! OPULENT CASTLES AND HUMBLE HOMES - GIVEAWAY! I've always been fascinated with homes. I stare at tumbled-down homes and cabins in deserted fields as we travel and wonder about their past. Who lived there? What pieces of history transpired within the walls? Our youngest daughter and I took a trip to England, Ireland, Scotland and Wales a few years ago. We visited every castle we could squeeze into the three weeks we were there--deserted castles, tourist castles, occupied castles. When my husband and I go on vacation, visiting historical homes is always on our agenda. interest in them. My first series was set in 17th century France and was based loosely on my family's flight from the religious persecution of the French Huguenots to this country. We started out at a manor in southern France, went to the opulence of Versailles, and ended up on a modest farm in Pennsylvania. It's always a challenge and an adventure to create a story around ones' characters and the places where they lived, tricky to describe the wooden staircase, the sun cascading through the windows. Oh, my, were glass windows in common use at that period in time? The fireplace--how did they light their fires? The kitchen--what did an oven look like in a chateau in Southern France in the 17th century? You get the idea. When it came to describing Versailles, I buried myself in books, videos, and movies about the most incredible castle in the world. 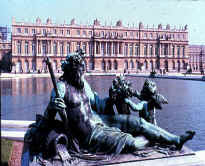 Two of the books in the Darkness to Light series take place at the palace that nearly bankrupted France as Louis XIV became obsessed with the building of it. My husband and I wanted to go to France to personally visit it, but my husband's heart attack changed our plans. Someday, maybe. 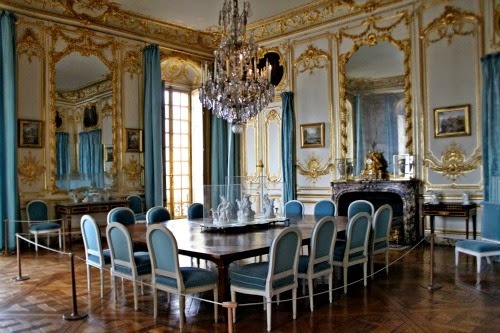 However, I walked the halls, rooms, and gardens of Versailles in my mind's eye and hope I conveyed them well in my books. 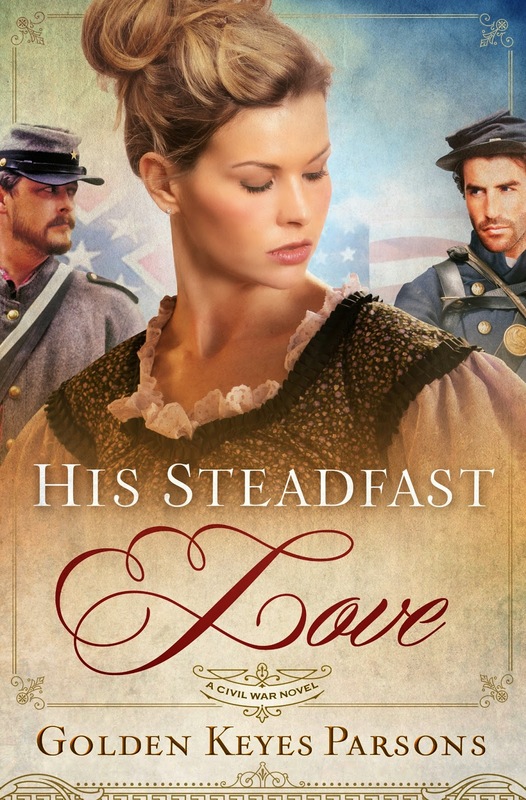 The final book in the series, Where Hearts Are Free, follows the Clewell family as they came to this country and settled in Pennsylvania. Their house is no longer standing, but the property is still beautiful farmland and the original parsonage of the church my ancestors helped establish still stands. 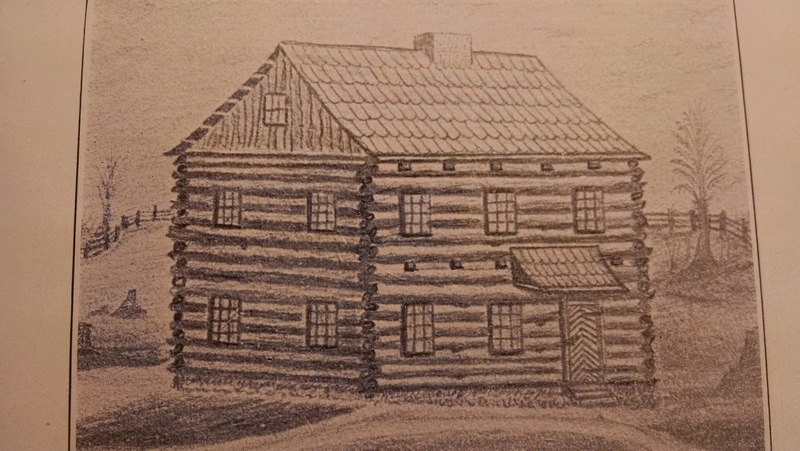 Below is a sketch of the church when first established, and the parsonage, and church as it is today. After some searching out at the historical society in Victoria, we located the house. The gentleman at the historical society office told us to see if anyone was home when we went by. He said the owners were very nice and could prove to be most helpful. We found the house, but alas, nobody was home. I was salivating! 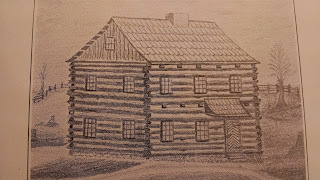 The house, from the outside looked perfect, and I could imagine my characters moving up and down the stairs, the slaves cleaning the windows, the carriage pulling in front to take Miss Amanda to town. The next day was our last day in the area. I petitioned my husband and the couple we were with to go by the house one more time. We literally pulled the car over and prayed that we could find someone home. As we approached the house, a handsome older gentleman was in the front yard talking to yard men. My husband and I went to meet him, and he invited us in to see the house. It had been completely restored to its original status ... the flooring, the furnishings, the staircase. I gasped as we went in the front door. It was exactly as I had envisioned in my book. What a gift to be able to visit this wonderful home - the Huck-Welder historic house in Victoria, Texas. As you can see, I was pretty happy being able to do so. Leave a comment for a chance to win one of the four novels involved in this Castles to Houses blog: In The Shadow of the Sun King, Prisoner of Versailles, Where Hearts Are Free or His Steadfast Love and walk through the houses I've described. Oh, Golden, our hearts are so alike. We drove along the coast of Mississippi on our way to Florida and I had my husband drive slowly so I could devour all I could about the beautiful homes there. I too imagine what the families are like who live there. Such things really do spark our stories. The last three novels of my Homeward Journey series are based on my great-grandparents who actually lived in Victoria. We were there a few summers ago doing family research and saw this house. I never thought to ask about visiting it. I envy you for doing so. :) Thanks for a topic dear to my heart. Yes, Martha, I think we are kindred spirits! I don't think the home is open to the public, except maybe at Christmas time. That's one reason I was so excited we got to see it. It was such a God thing! Thanks for dropping by. Golden, I remember salivating over the amazing three-hundred-year-old homes in Charleston. I would have loved to see inside a bunch of them. That's so exciting that God made it possible for you to view inside Hick-Welder house. It's beautiful! I love when God does special things like that for us. I know. I just love it when he send surprises our way! I love this post! I'm also a fan of stopping and visiting historical homes and plantations. So many are great! And if I visited one that is mentioned or staged of a book I've read before, I imagine what these characters were doing. I'm not sure if it's the interior designer in me or the reader that have me so intrigued by homes of all ages. Thanks for sharing this great topic! And thanks for the giveaway! I'm sure old homes are of great interest to you as an interior designer. Thanks for opting in! I looked up a house we built in the 70s in a beautiful neighborhood. We had to move after only a couple of years. Our daughter and I had fun looking at it, as it was once again for sale. We had built it for $32,000, and it was selling for nearly $400,000. Boy, wish we'd hung on to it! Homes are fascinating. I've heard of Glensheen. Can't remember now who told me about it, but said it was similar to Glen Eyrie in Colorado Springs, which is a favorite haunt of mine. Thanks for your comment! I love visiting historic homes and castles. The Huck-Welder historic house is about an hour from me. I may have to go visit soon! Thanks for the giveaway. The house in Victoria is not generally open to the public, but you could stop by the Historical Society first and inquire. Psalm 103 and 138 are two of my favorites! Thanks for your comments! Thank you for the his great post, Golden! I love visiting historic homes, how fascinating they are! Thank you for the giveaway opportunity! You are very welcome, and thanks for leaving a comment! had visiting that house in Victoria, TX. Everybody has story, don't they? And I believe every home has a story as well. If only walls could talk! I also enjoy castles and old homes. 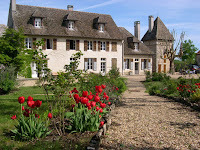 Very often on our trips we found museums in the old homes and hotels or inns in the castles. I just visited Ireland for Christmas and saw many castles in the north, Donnegal and Dublin area. We stayed in a castle south of Dublin. I enjoy your interest in old homes and castles and how it is of much importance in your books. Sm. Wileygreen1(at)yahoo(dot)com. My daughter and I toured some castles in Ireland as well ... Blarney Castle and Edenborough are the ones I remember the most, but there were some others that were abandoned that we walked through. What I didn't realize before going to the British Isles was the fact that castles were actually pretty common. They are dotted throughout the countryside, as I am sure you know. Thanks for stopping by! Hi Golden! My mother & I live visiting old historical houses and castles as well. I loved In the Shadow of the Sun King - I felt I was right there living in their world with them! Would love to win one of your books in this series! Great post! I'm not a writer, but I love visiting historical homes and imagining the people who lived there and what their lives were like. Nice discourse on your live of homes of historic interest. I also love to visit the beauty & craftsmanship of old castles & homes. Went to Ireland on a tour of castles & to do a little genealogy research with my Mom & sister earlier this month. Such a friendly country!